How much you enjoy Revival may depend on you feel about the last decade's crop of radio-friendly metal chart toppers. 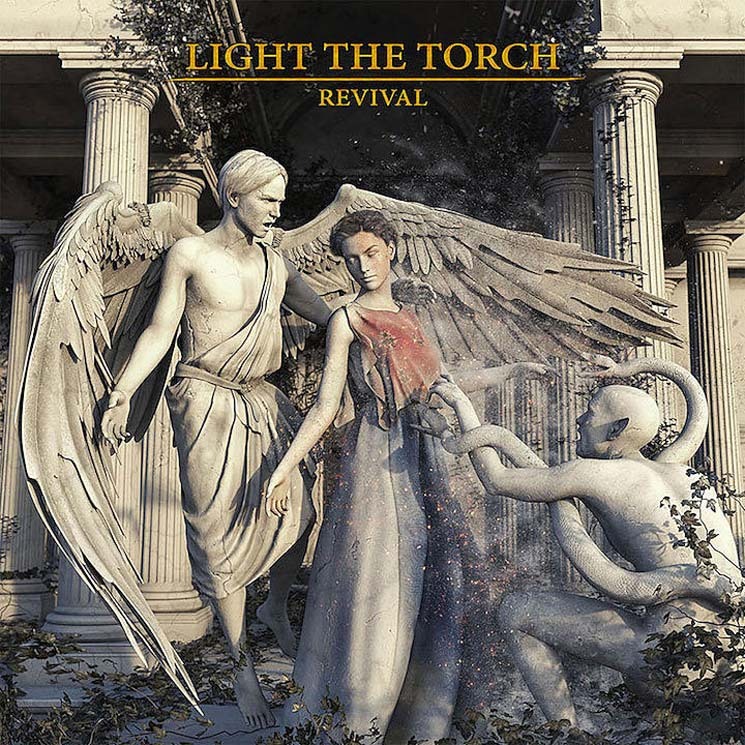 Revival is the second album from Light the Torch, formerly called Devil You Know before legal troubles forced the name change in 2016. Featuring former members of some of metalcore's biggest acts — All Shall Perish, Bleeding Through, and ex-Killswitch Engage belter Howard Jones — it comes as a bit of a surprise when Revival ends up sounding like Disturbed. It's not a bad thing, of course, to say that tracks like "The God I Deserve" would be at home on a Korn album, or that "The Great Divide" sounds like an unreleased Linkin Park collaboration. "Raise the Dead" is probably the most familiar song on offer, with all the breakdowns and double-bass aerobics we've come to expect from metalcore's more mainstream side. Howard Jones's voice has lost none of its power or bravado and for a certain type of listener, Revival could be Christmas come early. But anyone looking for anything close to the heaviness of the musicians' other projects had best look elsewhere.